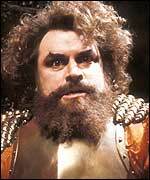 How could there possibly be a list of top ten beards without including that most mighty of beards, the beard of bees! The site doesn't work properly in Safari. Come on Rob, get with the program. Yeah firefox is a good browser try remving internet exploer functionality. Just an idear i had for the show leave one of ur drive by things unanswerd for the listers to discus when thers no show. I had the same problem with Safari when I switched from PC to Mac recently. As the others above recommended, I installed Firefox, which works beautifully. Also very easy to import your bookmarks, preferences, etc from Safari. I cant believe that you didnt include Mr. T's beard in the Top Ten Beards. A touch on the busy side right now audience, we'll try and get a show out this week but we can't promise anything. Day jobs are taking up our time right now but things will be getting better soon, we promise. Hey guys this isn't really about the show but does anyone know the address to Jon and Rob's flikr account? A week and no TOTP again.... I'm going to have to do a BBC and resort to repeats to get my fix. A while back I downloaded all the back episodes and have been using them for my "fix". So far I've just scratched the surface of the stockpile. But it's the best way to have my Top of the Pods. Vote for Blackpool airport to be renamed to Jo Whiley International. bluejackaddicts.com will have a new podcast in the coming days!!! Katie Holmes? I haven't listened to this episode, so perhaps it's already been mentioned. Hey, where have you guys been this week??? Happy Easter! May the Easter Bunny bring you your Top Ten favorite Easter treats. happy easter, have a good rest and finish your work so you can do more quality shows. Its funny how I listen to your shows after a long day to brighten up my day, so what do you listen to? hurry up dudes! i need new shows! Just checking in folks, but I see there's no new shows yet.